ki·no : [kee-noh] noun. Underground, private avant garde art and film clubs popular in Europe, particularly Russia in the 1920′s and 1930′s. Kinos often featured work that was censored for political reasons, or which was too experimental for general distribution. Dance Films Kino, a three-week festival of film and live performance at Hyde Park Art Center, presents 30 free admission events in 20 days, showcasing the work of 45 filmmakers from emerging to established, and over 25 artists, writers, musicians, theater and dance makers, March 4-25, 2012. Chicago-based artist and film curator Sarah Best opens the studio doors as an artist in residence at the Art Center to create a salon-style environment evoking the kinos or private avant garde art clubs of the 1920s in Soviet Russia. Films celebrating innovative collaborations between dance artists and filmmakers, are programmed around the themes Revolutions and Revelations, Women and Men, and Utopias and Dystopias. Through this festival, Best activates the studio space, cultivating an experience of movie-watching and art-viewing that emphasizes community and celebration. 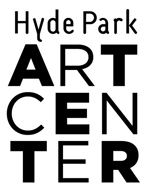 The festival is co-presented by Links Hall and Hyde Park Art Center with all screenings, events, and performances happening at Hyde Park Art Center. Dance Films Kino is a Touring Partner of the Dance Films Association. Dance Films Association’s annual Dance On Camera Festival is co-sponsored by the Film Society of Lincoln Center and supported by the National Endowment for the Arts. Read the Manifesto of The Dance Films Kinoist. Artist Story: Sarah Best, Chicago Artists Resource, February 2011. Liz Liebman, Ginger Farley, Howard & Debbie Best, Alison Peters Quinn, Kate Lorenz, Roell Schmidt, Megha Ralapati, Brook Rossini, Chris Hammes, Crystal Pernell, Heather Hartley & Phil Reynolds, Ruth Fuerst & James Block, Bob Garrett & Nadine Lollino, Mark Jeffery & Judd Morrissey, Sugar Bliss Cake Boutique, Emissary Chicago, Sparrow, Intelligentsia, Metropolis Coffee Company, Lifeline Theatre, POETRY Magazine, Rachel Damon / Synapse Arts Collective, Crossroads Fund, Baconfest Chicago, Momentum Massage Arts, Early to Bed, Clarion New Media, Gapers Block, Threadless, Raquel L. Monroe, Matt Vanderzalm, Kathleen Duffy, Jack McLarnan, Eileen, Lara Oppenheimer, Emlyn Bean, Aurora Tabar, Eric Rogers, Amanda Keeler, Asha Veal Brisebois, Peter Tsai, Sharyne Tu, Barbara Koenen, Matt Llwellen, Deb Vitous, Anne Holub, Mike Orlove, Emily Long, Brock Rumer, Amy Ornée, Valerie Bajorat, Eric Brasure and Richard Goodness, Renee Besel, Eugene Kim, Chester J. Smith, Chantal Sudbrack, Nathan Mason, Ira S. Murfin, Sheila O’Donnell, Justin Kazmark, Charles Adler, Justin Bitner and Tricia Hendricks, Bathsheba Nemerovski, Justin P. Miller, Craig Woythaler, Stephanie Keller, Kim Diorio, Alison Anderson Holland, Marcus Sitonio, Anneliese DeDiemar, Tim Jones-Yelvington, Lacey Capps, Rose DiPietro, Kelly, Barbara Whitney, Jenny, Liana C. Percoco, Rachel Wallis, Lucy Cash, Irina Botea, CJ Mitchell, Mairead Case, Matti Allison, Jennifer Thornton, Mark Wilson, Andrew Best, Albra Wheeler, Hyde Park Art Center volunteers, David Emanuel, Irene Hodes, Dan Schaaf, Todd Lillethun, Tim Frick, Nate Brandt, Daniele Wilmouth, Andrew Roddewig, Maggy Fouche, Lane Alexander, and Jan Bartoszek.